Width . . . . . 59'-0"
Depth . 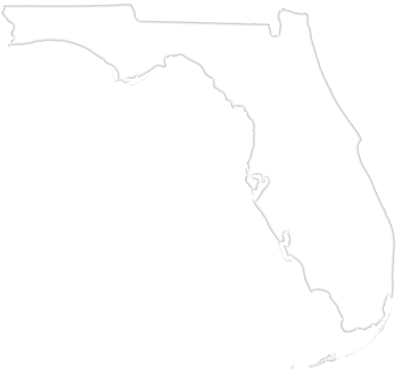 . . . . 59'-0"
If you’re considering building look no further, we are the best Florida home builders. 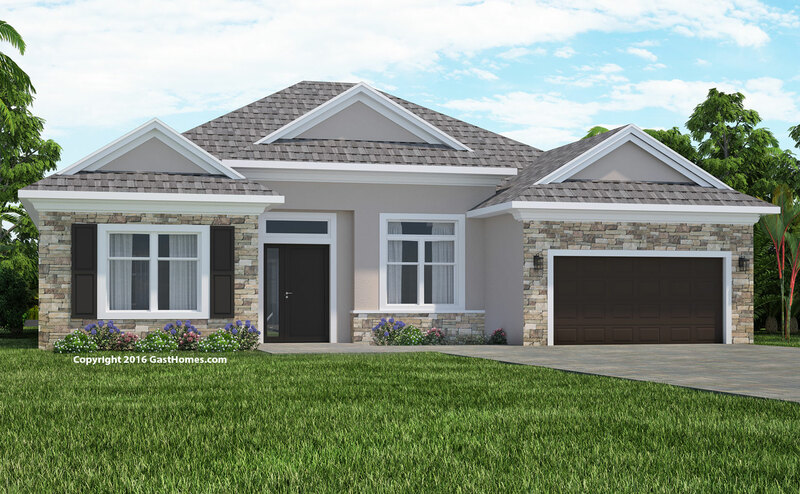 Homeowners love the Highlands floor plan with its grand entrance to higher ceilings and floating plant ledges. One of the rear entrances is close to the bathroom making it a perfect home for a swimming pool. Owners really enjoy the spacious master bath size and supersized closest. Furthermore, the front entrance area contains the entrance to large flex room whether it is 4th bed, den or 2nd family room. The rear Lanai offers great escape from the sun or even rain while enjoying the outside views. Lastly the laundry room is a dream, being right off the kitchen with ample space to add ironing board and much more. 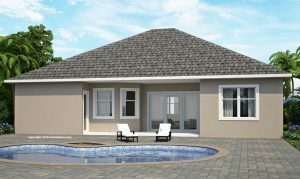 Like all of our house plans we design our own custom programmed software for pricing and options. Our exclusive step by step click through build home software is sure to amaze. Looking to add more square feet, pick your cabinet options or just confirm your colors our system can walk you through. 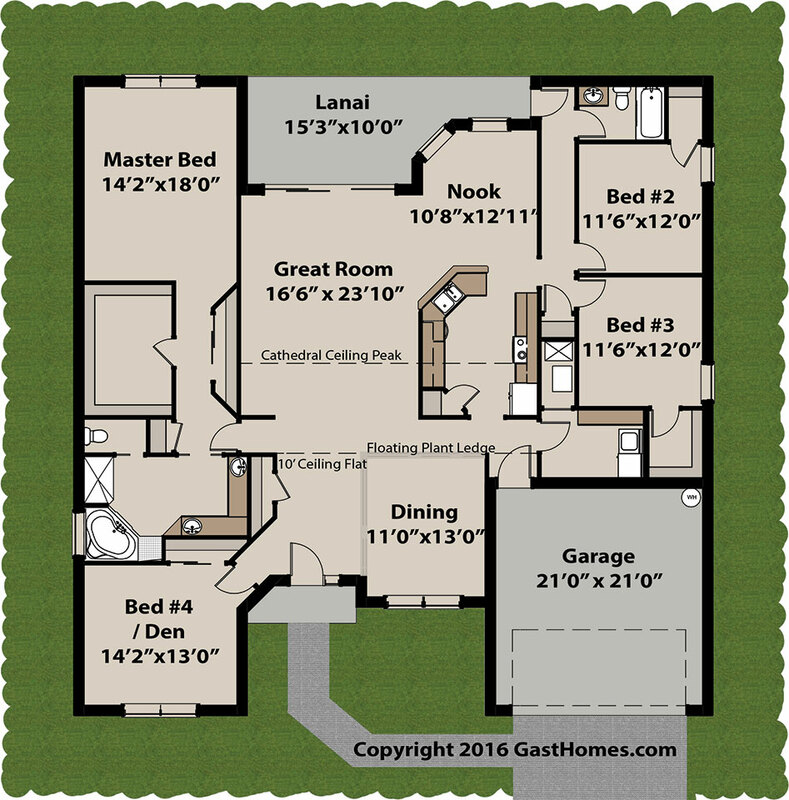 When choosing Gast Homes, you'll have the power to create your dream home at your convenience. 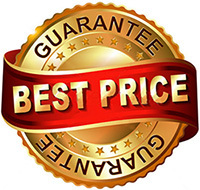 When asked why we share our pricing publicly the answer is simple. After almost three decades of building we know what homeowners are looking for and we know our competition can't compete at our level. 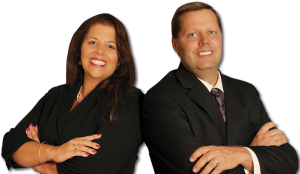 So if you’re looking for the Best Florida home builders, you found them. 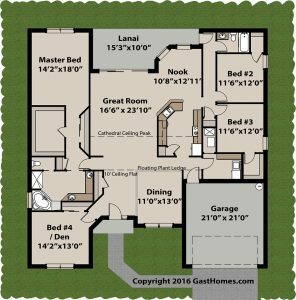 Gast Homes start with a energy efficient house plan design by a certified Building Performance Institute, Quality Control Inspector. Then, we build with of our optional upgraded exterior walls built using 11' Thick Insulating Concrete Form walls, 4x strong then block walls. Furthermore, our walls have impact rated window options installed using metal hardened screws. 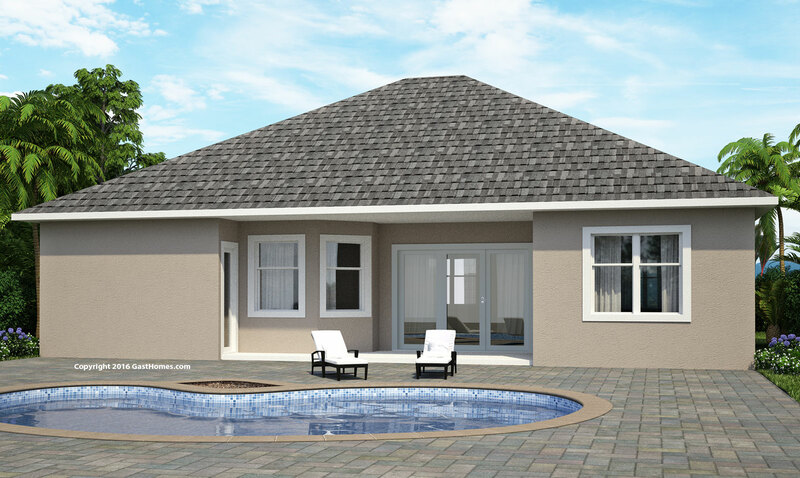 Our roof system has a 12" soffit with optional sealed overhang reducing the uplift of high winds during hurricanes. 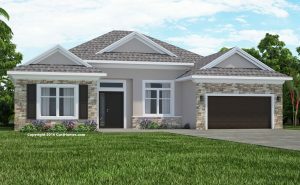 Explore our site for more butter built systems, no other Florida home builders can offer so much at an affordable price.